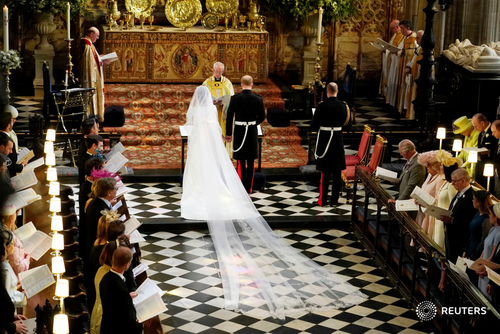 U.K.When Meghan Markle walks down the aisle at St George's Chapel in Windsor to marry Prince Harry, she will be following in the footsteps trod by England's royals for nearly a thousand years. 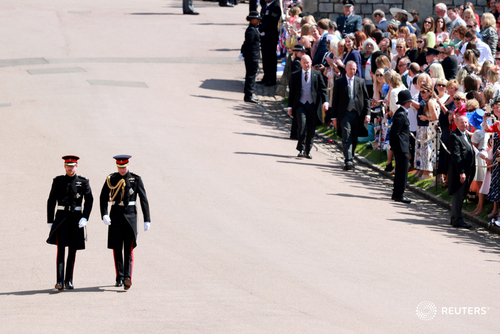 Prince Harry, accompanied by his brother and best man Prince William, arrive at St. George's Chapel for wedding ceremony. 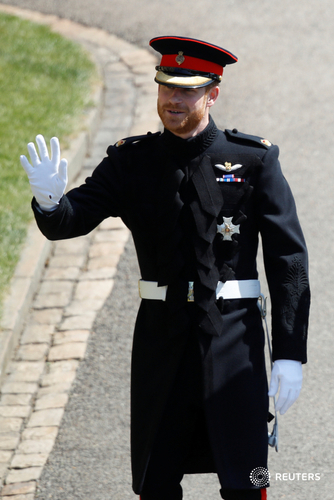 Britain's Prince Harry wore the frock-coat uniform of the Blues and Royals for his wedding to American actress Meghan Markle on Saturday, Kensington Palace said. 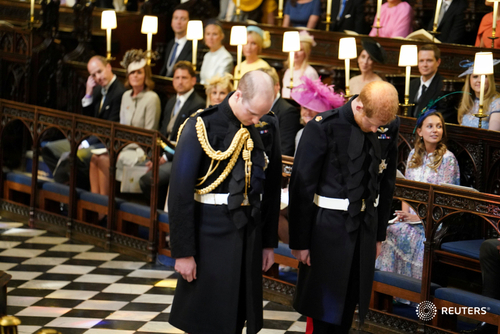 The 33-year-old grandson of Queen Elizabeth waved to well-wishers as he arrived at St George's Chapel in Windsor in the dark blue uniform with his brother and best man, Prince William, who was dressed the same. 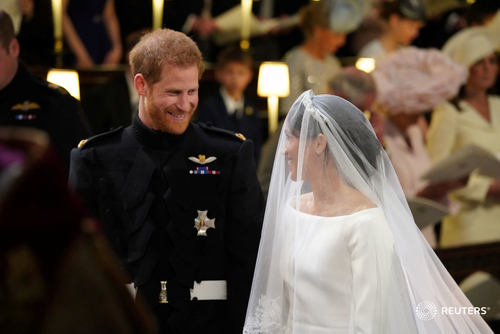 "Her Majesty The Queen gave her permission for Prince Harry to get married in his uniform," according to a statement tweeted by Kensington Palace. 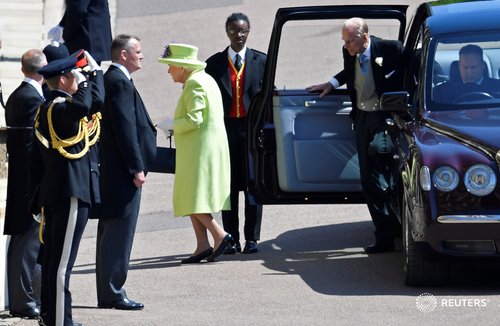 "Both uniforms were tailored at Dege & Skinner on Savile Row." 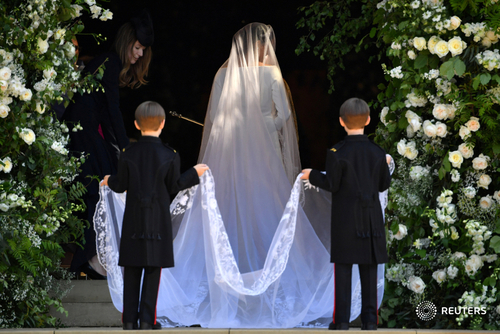 American actress Meghan Markle wore a dress by British designer Clare Waight Keller for her wedding to Prince Harry on Saturday, Kensington Palace said. Waight Keller became the first female artistic director at famed French fashion brand Givenchy last year. 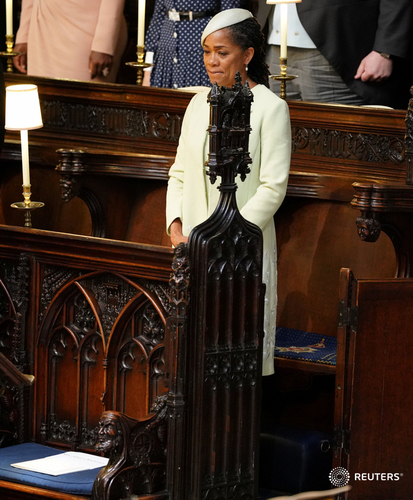 Bishop Michael Curry was trending on Twitter in the United States after he gave a powerful performance at the royal wedding that mentioned Martin Luther King Jr. and slavery in America. 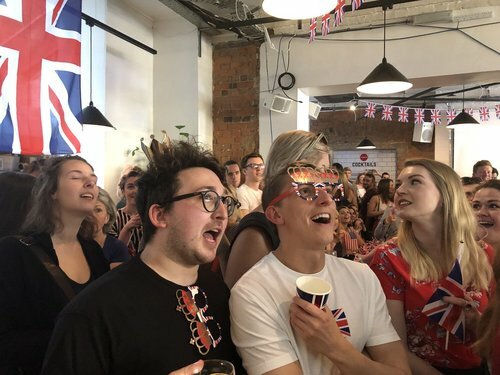 Spoke to a couple of English guys, Adam, 24, from Windsor and Chris, looking surprised at bishop’s speech. ‘It’s very American, very impassioned. 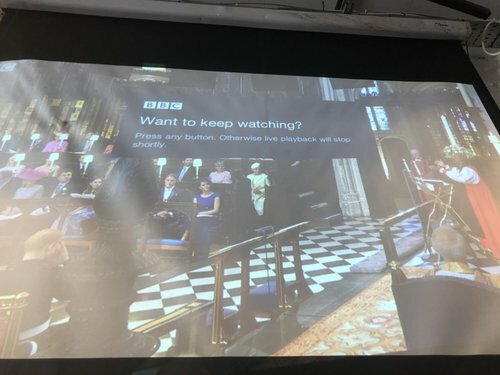 The UK’s not really like that’ they said. They’re taking out their headphones to repeat things to each other as speech is streamed. 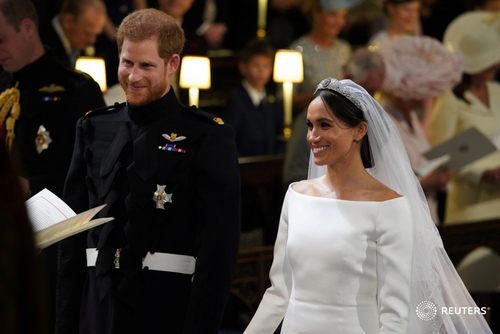 Britain's Prince Harry and American actress Meghan Markle were pronounced husband and wife on Saturday by the Archbishop of Canterbury in a glittering union that brought a measure of modern Hollywood glamour into the 1,000-year-old monarchy. 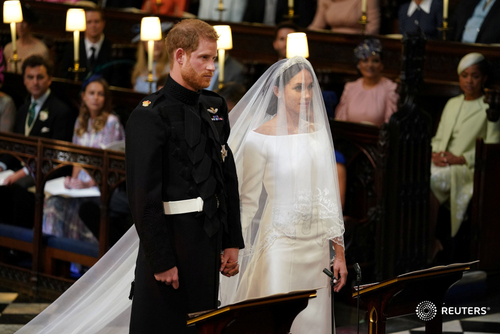 The star of the TV drama "Suits" walked unescorted in a pure white, long-sleeved dress to the middle of the 15th-century St George's Chapel in Windsor Castle, where the heir to the throne, Prince Charles, accompanied her towards his son, waiting at the altar. 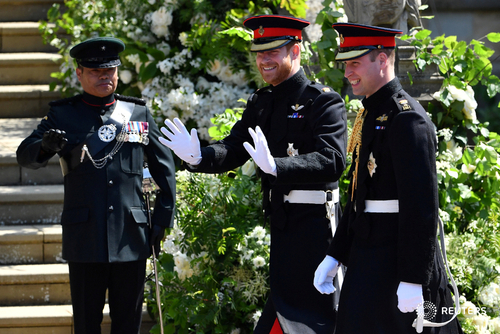 After exchanging vows to love and to cherish "till death us do part", Harry, 33, sixth-in-line to the British throne, placed a ring of Welsh gold on Markle's finger before a congregation including Queen Elizabeth, senior royals, and celebrities including U.S. media mogul Oprah Winfrey. 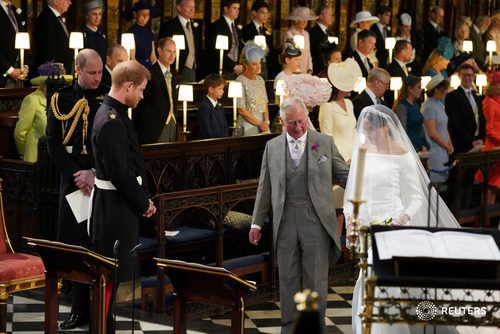 "In the presence of God, and before this congregation, Harry and Meghan have given their consent and made their marriage vows to each other," Archbishop of Canterbury Justin Welby intoned. 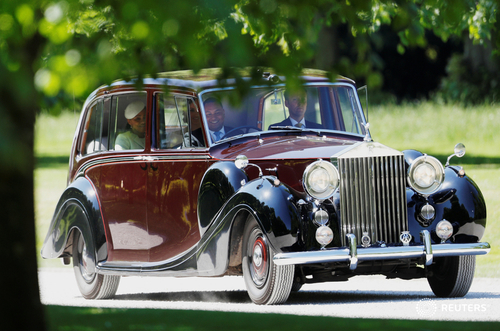 "They have declared their marriage by the joining of hands and by the giving and receiving of rings. I therefore proclaim that they are husband and wife."